Hi everyone and welcome! It's Kathy Clement's turn to host the latest challenge over at Frilly and Funkie and she's asking us to 'Put on Your Inking Cap'. Here's what she has to say about the theme; "If you know anything about me at all, you know that I adore designer paper. It's my "go to" product for nearly everything I make. But not this time around! 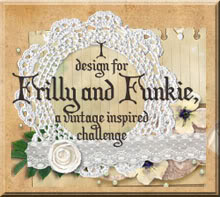 For this challenge we are asking you to create a vintage or shabby chic project without using any designer paper. You can use inks, mists, paints, texture paste, fabric, felt, embossing powders, pencils, markers, pastels, chalks...the sky is the limit! As long as you are not using designer paper on the front of your project, you are golden." The team will choose their top four picks with the winner being invited to join us in a Guest DT spot at Frilly and Funkie and the next three will receive badges to display on their blogs. Everyone who enters and follows the rules will be entered into the draw to have the chance to win a $25 spending spree at The Funkie Junkie Boutique, so there are plenty of reasons for joining in the fun. 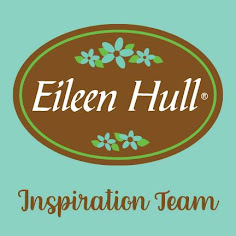 For this challenge Eileen Hull generously sent the Design Team cuts of her 'Journal' die from the newly released Sizzix HeARTfelt collection, so each of us has created a Travelers Notebook style journal to share with you for this challenge. 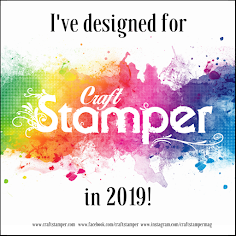 If you are inspired to create your own journal and fill it with your own choice of inserts Linda is taking orders for Eileen Hull's Journal die at The Funkie Junkie Boutique. However, you don't have to create a journal to play along with the current Frilly and Funkie challenge - just put on your inking cap! I went with a distinctly oriental feel for my journal this time, using the Suburbia Cityscapes dies to create a Japanese village scene celebrating the arrival of the cherry blossom. The buildings and trees were coloured with Distress Oxides and covered with clear embossing powder to seal them. Before adding the collage elements, the cover had Blossom stencilled onto it with Texture Paste which was all coloured with Distress Paints. The ageing was added through a mix of Latte alcohol ink and water. I hope you've enjoyed seeing this journal and feel inspired to give it a go too. That's it from me for the current Frilly and Funkie challenge 'Put on Your Inking Cap'. Do make sure you hop on over to see how my talented team mates from both the Frilly and Funkie sides of the Design Team have transformed their journals. We also have a very special Guest Designer joining us for this one too so make sure you check out her beautiful journal as well. And remember to link your own inky, shabby chic or vintage projects to be in with a chance of winning one of the fabulous prizes. Jenny I love the oriental feel of your journal. The lovely blossoms floating across the back are gorgeous and the focal point with the glossy effect is perfect. It looks like a vintage journal with the beautiful touches you incorporated! Can you hear my contented sigh? This is just wonderful. Every element from the gorgeous embossed blossoms, to the quaint Asian village, to the tea stained pages to the lace pockets, hidden journaling spots and tuck spots fill my heart with delight. The color palette, the design...every detail absolute perfection. I want to hold it in my hands and study it. What a clever way to put on your inking cap. WOWSERS! This is stunning, love the design and wonderful textures. Another gorgeous journal. I have gone through this twice now and will probably look at your video at least 3 more time. I swear Jenny - you and "Redanne" go together like ice and cream!! Holy Schmoley, Jenny! What a fabulous journal (again! )filled with so many delightful little nookis and crannies! I have thoroughly enjoyed your video. You have a lovely accent, and I'm not sure why I am surprised by it! The cover is wonderful and I loved learning how it all came together. Great choice of colors and the little scene is so clever! Wow--amazing project! Hugs! Another gloriously inventive journal, Jenny. The adaptation of the Cityscape houses to be little Oriental cottages is inspired, and the alcohol ink weathering just makes me happy! Brilliant on the inside too... wow! Another fantastic journal! Jenny. The lovely decorated covers are a wonderful intro to all the fab detail and layers you see inside. A real labour of love .